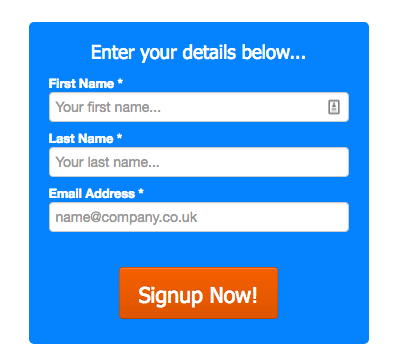 The Form Builder is the easiest and latest way to create a form within your landing pages and popups. It uses the very latest technology, and we’re rapidly adding new integrations all the time. Within the Squeeze Page Toolkit editor you’ll see the following two tools that you can drag onto the page to add a form. 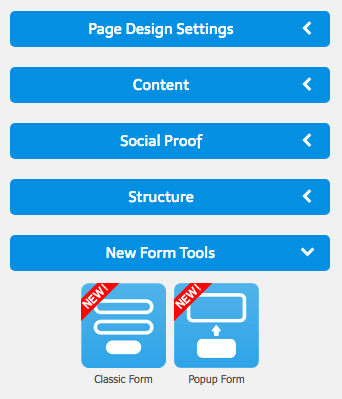 Once you’ve added your form to the page editor, you’ll see a large green button that says Open Form Editor. 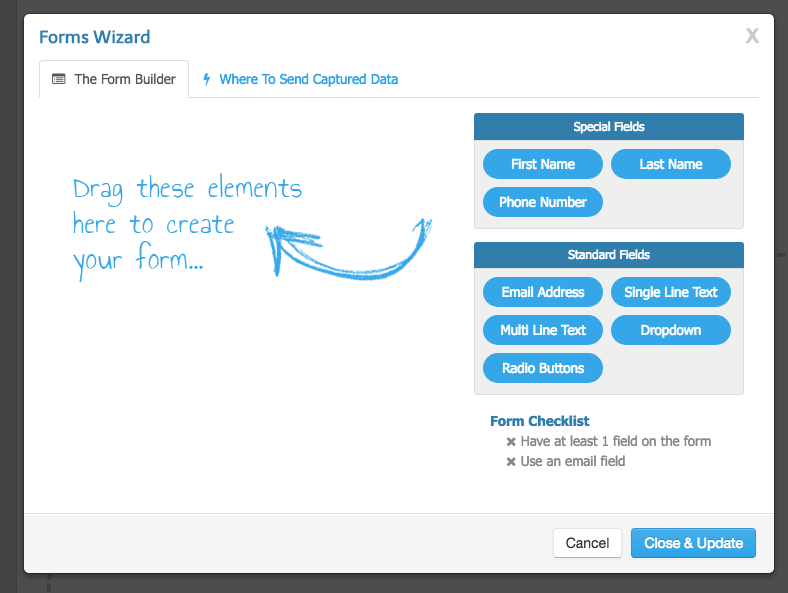 Clicking this button will open the Form Builder where you can add fields to your form. You’ll also see this button when editing a Popup too. 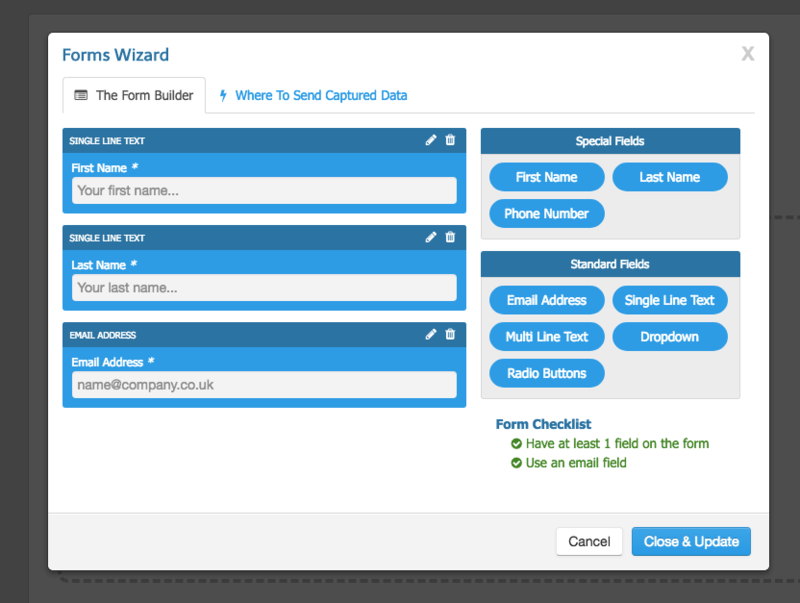 Once you’ve created your form, you can begin to connect to your CRM, which is where the form will send leads. In this example, we’re working with Infusionsoft. 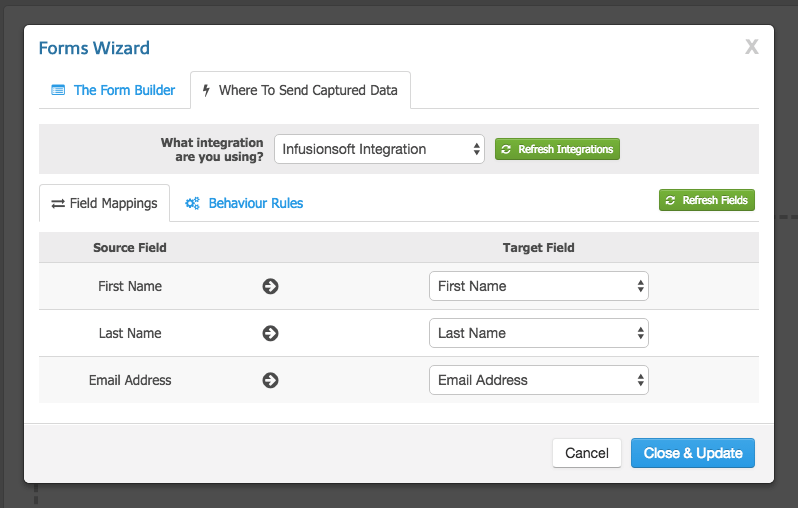 Here, we choose specifically where data from the form into the CRM, using the Source Field in your SPTK form, to the Target Field, in your CRM. Now we select what tags/lists we want to add to this contact. 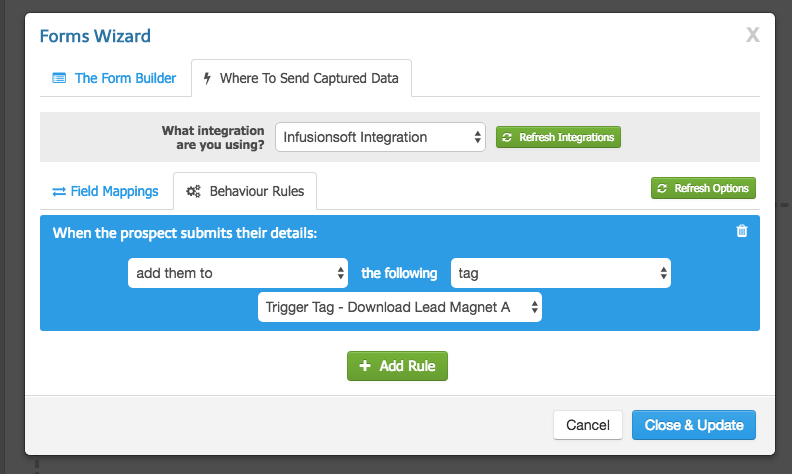 For many CRMs, we need a list or tag to start sending them automated emails. Please check the individual CRM guides to find out what you need to do to make this bit work correctly. When you click on the button that says Close & Update, then the form in your landing page will update, and your form will show with all the fields that you’ve created. The Form Builder currently supports the following CRMs. We’re shortly adding support for several more CRMs.